Mixology is a term used to describe the art of mixing cocktail drink recipes. 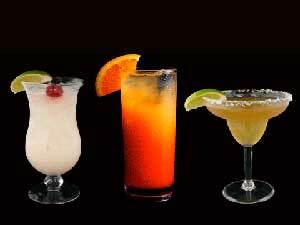 According to the “Free Dictionary,” the definition of mixlogy is the study or skill of preparing mixed drinks. A mixologist is a person who mixes and invents cocktail drinks. All mixologist are bartenders, but not all bartenders are mixologists. At American Bartending School you’ll learn to be an mixologist. You’ll learn much more than how to mix popular drinks. As a mixologist, you learn why certain liquors and mixes go together, proper garnish techniques and how to craft original signature cocktails and much more that will be the hit of your bar. Untrained bartenders may know how to mix drinks, but most don’t know why things should or should not be done a certain way . A professionally trained mixologist knows how to consistently make a drink that taste good and is profitable for the establishment. The mixologist enjoys knowing and understanding the art and craft of mixing cocktails, studying the classics, concocting new and exotic drinks, and experimenting with new distilled spirits and mixers. It’s similar to a professionally trained chef and a short order cook. Have you ever ordered a mixed drink cocktail and found that the taste was too strong or too weak? If you have, it’s probably because the bartender didn’t understand portion management. Adding too much or too little of a distilled spirit or mix can drastically alter the taste and characteristics of a drink. The next time you order a drink watch the bartender prepare it. These are some simple things to be aware. Does he carefully measure each ingredient? If the drink requires shaking, does he shake enough to properly chill the drink without watering it down? Does he garnish the drink attractively? Does he ask you how your drink is after you have tasted it? While some may argue with our definition of Mixology, the proof is in your drink.